Earlier this month I saw that fresh pomegranates were in abundance at my market. I love pomegranates, they are not only delicious, but beautiful as well. Cut into a ripe pomegranate and you are rewarded with the sweet ruby red treasure contained within. I'm not exactly sure why, but for me they herald the beginning of holiday season. Maybe it's that glorious red color. Whatever the reason, fresh pomegranates mean the holidays must be upon us! 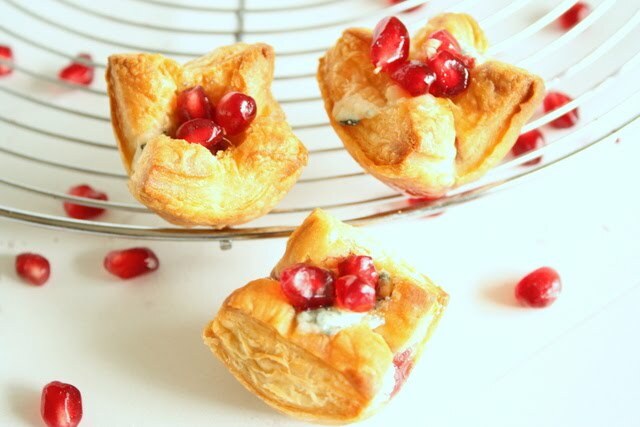 With the holiday party season in mind, I thought I use my fresh pomegranates to make some appetizers. These are easy and fairly quick to make. 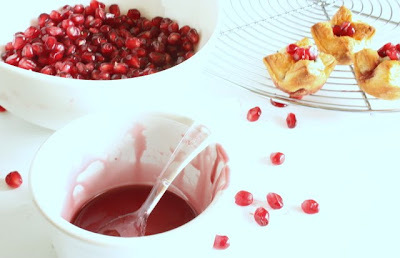 You can make up the pomegranate syrup ahead of time. It will keep for several weeks in the refrigerator. Make extra syrup, it's so good you'll want to have some to drizzle it over ice cream, yogurt, pancakes etc. 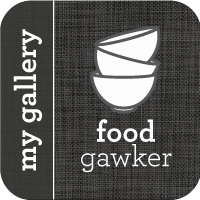 If not using the crumbled blue cheese, cut cheese into 24 cubes, and set aside. Bake pastry at 425° for 10 to 12 minutes or until it begins to brown. 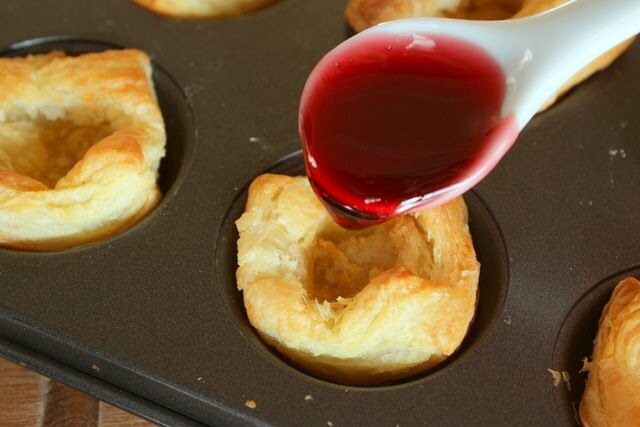 Remove from oven, and gently press handle of a wooden spoon into center of each pastry, forming a shell. Spoon 1/2 teaspoon syrup into each shell; top with a piece of blue cheese. Bake 5 more minutes or until cheese melts. 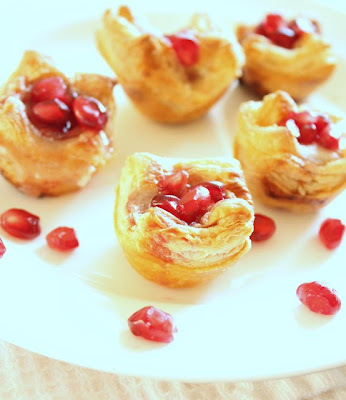 Top with the fresh pomegranate arils (seeds) and serve immediately. In a saucepan, combine pomegranate juice, sugar and lemon juice over medium heat. Stir until sugar has completely dissolved. Allow to cook over medium high heat for 20-25 minutes, or until juice is the consistency of syrup. Remove from heat and allow to cool. Store in airtight container in the refrigerator for up to two weeks. These appetizers are also very versatile. 24 wine-and-cheese crackers may be substituted. Top each cracker with the cheese, and drizzle with the syrup; place on a baking sheet. Bake at 350° for 5 minutes or until cheese melts. Top with the fresh pomegranate arils. Brie could be substituted for the blue cheese. Those are beautiful for entertaining. Great idea. Wow! Wonderful recipe and I bet it tastes fabulous! Thanks for the recipe for the Pom syrup. Wonderful! These colours and flavours would be perfect for the holidays. these are just some of the most elegant and pretty little nibbles i've ever seen! they'd dress up any party, and that's that--nice flavor combo! I love how the arils (learned something new!) are showcased - and the size/shape of these bites are perfect for the party season. These look amazing. I can't wait to try it. I also noticed that pomegranates were in season. I had one the other day and it was delicious! 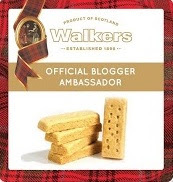 I saw the headline for this post in the BlogHer box and had to click through. They look even better than they sounded (if that's even possible). YUM. How could you go wrong with something that combines so many amazing flavors and textures?!? I like the sweet/savory with the tangy blue cheese and pomegranates. Delicious! So I will have to give these a try! I've just recently become a fan of Pomegranate arils. They're so beautiful to use in recipes for the holidays. These look fabulous. You should enter them in the www.123PuffPastry.com contest to win a trip to NYC!! 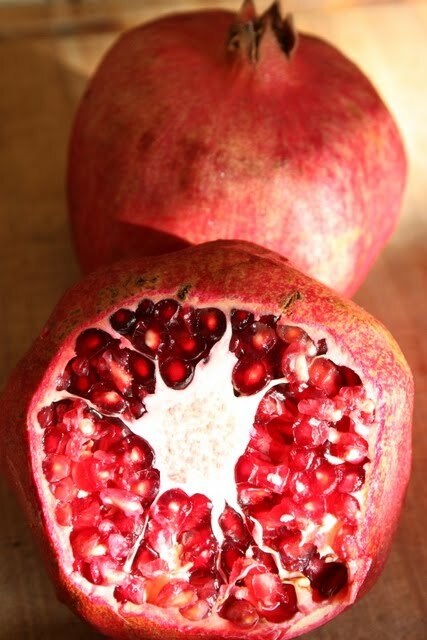 I love pomegranate, this looks delicious! Wow very wonderful. I like it. Thanks for sharing your recipe. Those look really good! The blue cheese with the sweet fruit flavor is probably delish! Nice idea.